Labor Day is just around the corner—September 5 to be exact! 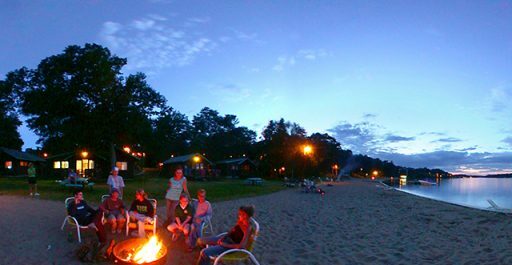 If you plan to visit Brainerd, MN for the last three-day weekend of the summer or you’re a Brainerd resident looking for a fun way to celebrate on the town, here are six Labor Day activities to consider. 1. Plan to see some of the beautiful sites in the Brainerd Lakes area. The Northland Arboretum is located within the City of Baxter behind the Westport Shopping Center just off Excelsior Road. The Northland Arboretum encompasses over 500 acres and offers a beautiful area for you and your family to explore. Have a peaceful walk on one of the nature trails or take your mountain bike for a ride. A recent addition is the Accessible Wellness Fitness Trail which is a 2 mile fitness trail with interactive equipment including 12 stations for stretching, cardio, balance and strength training. For adventurous types Cuyuna Mine Pits offers scenic biking trails, kayaking and fishing. Twenty-six miles of undeveloped shoreline can be explored by boat or canoe and anglers can cast a line for trout, northern, crappies, sunfish and walleye. The Cuyuna Mine Pits are considered a hidden gem of the Brainerd Lakes area. Paul Bunyan Land has been in the Brainerd Lakes area for almost 60 years and at its current location since 2003. The Paul Bunyan Amusement Center is located at This Old Farm on Highway 18 approximately 10 miles east of Brainerd. You will see Paul Bunyan and Babe his Blue Ox as well as a carnival style rides for the kids, a petting zoo and the Pioneer Village. Labor Day is their last day of business for the season. 2. Enjoy the 2016 Crosslake Outdoor Music Series. Enjoy free music on September 3 at Crosslake’s Town Square, just a short drive north of Brainerd in Crosslake, MN. On Saturday, enjoy the band Decade 7 which plays music created after Woodstock and before MTV. The sound of the 70s will fill the town square. Grab your lawn chairs and join the fun from 7:00-9:00 pm. 3. Have one last summer picnic. Well, hopefully it won’t be the last, but with the summer season coming to an end, don’t miss this opportunity to get together with friends and family for an end-of-the-summer BBQ. Choose a Brainerd area park that will accommodate a large group of people if necessary or offer your back yard if it will be a smaller gathering. In late August and early September you’ll find almost all of Minnesota produce at its peak, so be sure to include that corn on the cob, fresh sliced tomatoes, cucumbers and watermelon slices. For a perfect end to the day, a bonfire with s’mores will ensure everyone leaves happy. 4. Get to the park. The average weather in Brainerd around Labor Day is mid-70s, which is perfect weather for a picnic, a game of Frisbee golf or a walk through the trails. Gregory Park and Lum Park are both top rated Brainerd Parks. Gregory Park is near downtown Brainerd and boasts 5 tennis courts, a historic fountain, plenty of green space, a gazebo and a bandstand. Lum Park offers a 9-hole disc golf course, sand volleyball court, 2 shelters, grills, a playground and restrooms. If you’re looking for a lake, Whipple Beach offers a beautiful large beach area, large grassy shaded picnic area, bathrooms and shower, a fishing pier and boat landing. In addition, the U.S. Army Corps of Engineers offers parks at both Crosslake and Gull Lake. Both parks offer swimming beaches, picnic areas, playgrounds and fishing. 5. Catch a movie matinee. If you’re accustomed to a regular 9-5 work week, likely your schedule doesn’t allow you to take advantage of matinee movie prices too often. If you’re looking for a low-key Labor Day activity, head to Lakes 12 Theatre in Brainerd/Baxter. You can sit back in air-conditioned comfort, munch a little popcorn and pretend that your busy work and school life isn’t just around the corner. For show times, go to http://manntheatres.com/theatre/?tid=80. 6. Get to the lake. 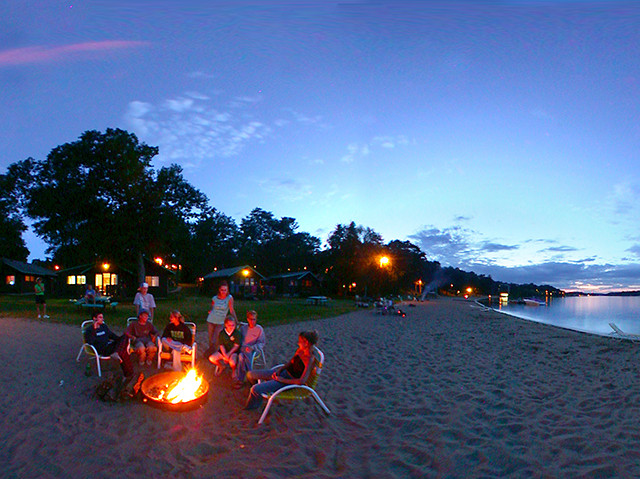 Spend Labor Day weekend on Gull Lake at Cragun’s Resort. Start your weekend at Cragun’s with our free Welcome Party and Dinner on Friday night followed by our fishing clinic and then Bingo for everyone at 8:00 pm. Wrap up the evening with a bonfire and marshmallows on the beach. On Saturday, enjoy a stand up paddleboard lesson at 8:00 am where you will enjoy the quiet of Steamboat Bay in the early morning hours. Saturday activities also includes waterski or tubing lessons, Vacation Creations, a sand castle building contest, horse drawn trolley rides, karaoke in the Bear Trap Lounge Saturday evening and a moonlight movie on the south beach at 9:00 pm. On Sunday, we will offer a pontoon cruise around Steamboat Bay and then the Get Wild Animal Show – fun for the whole family. Breakfast is included on Monday morning and you’ll have more time to enjoy the resort before packing up and heading home. For more information, check out our Labor Day packages and specials online or call 1-800-CRAGUNS to book your stay today!